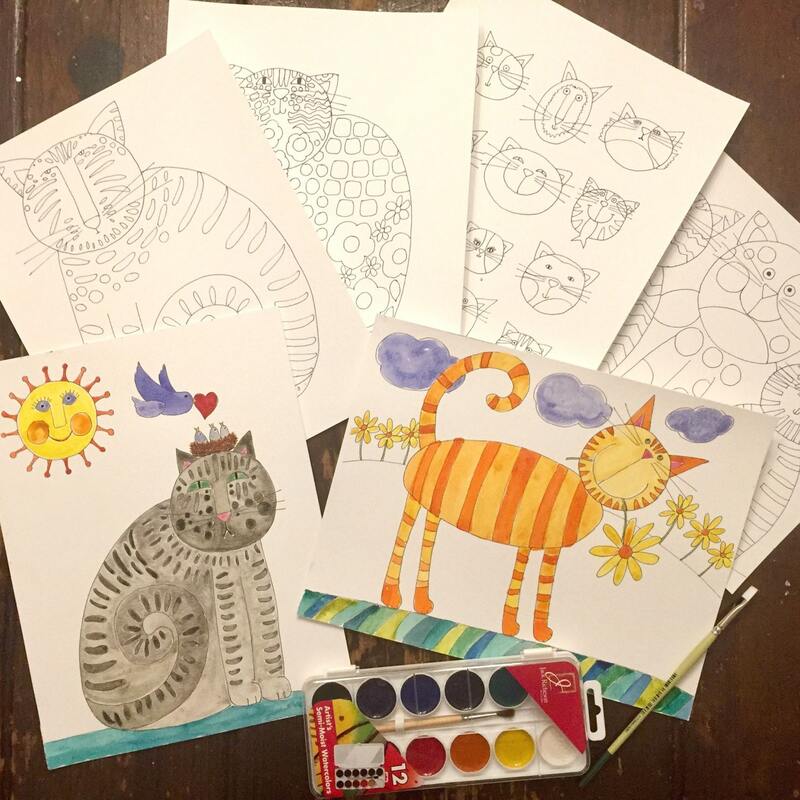 Cats watercolor painting pack contains 6 different pre printed pages of original happy cat designs, ready to paint. Cat images are printed on fine quality 140lb weight watercolor paper. Paint kit also includes a 12 color set of fine quality Jack Richeson semi moist watercolors and paint brush, an extra sheet of paper for practicing and helpful tips. 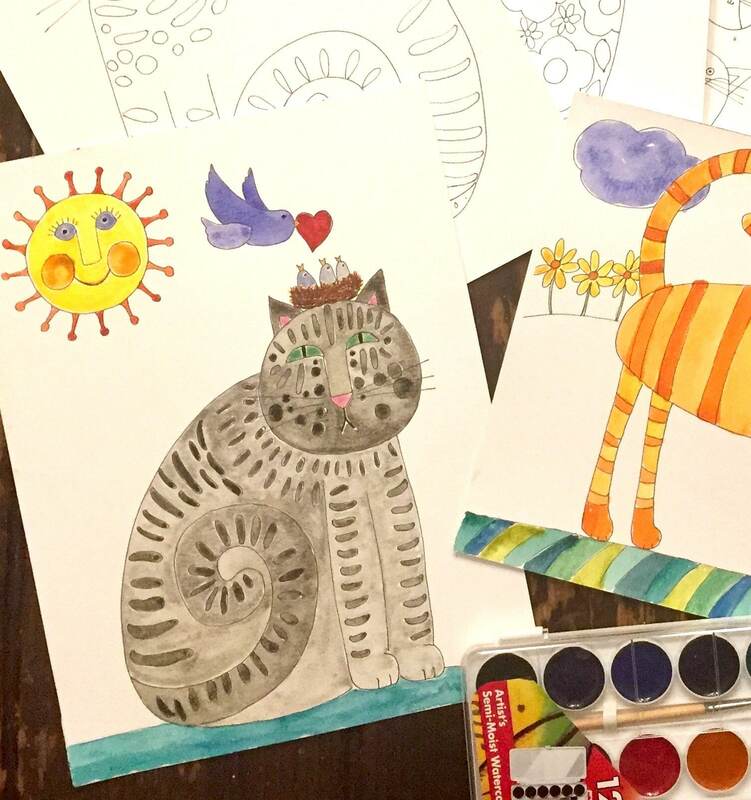 Watercolor painting is relaxing and easy for kids and adults. Stay in the lines or paint wild and free, it all works.